Each year between the months of September and December, the remote northern town of Churchill, Manitoba is overwhelmed with scores of hungry, aggressive polar bears on route to the Hudson Bay. Desperately hunting for something to eat, these migratory bears march directly through the town of Churchill in search of the Hudson Bay’s seals. In fact, during these months, there are so many bears trekking through Churchill that the town has become internationally known as the ‘polar bear capital of the world’! But with a big reputation like this, comes a big price. 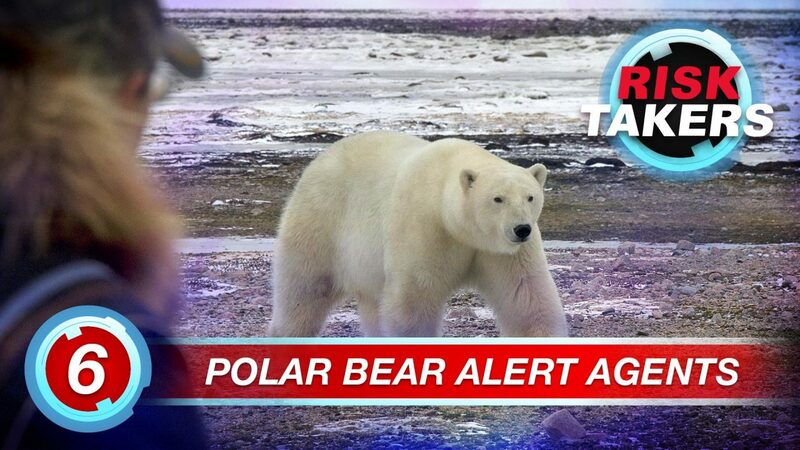 Polar bears are one of the most dangerous animals in the world, and one of the most likely to attack humans. As nature’s largest land predator, these hungry polar bears will see anything they encounter – including the people of Churchill – as potential prey. With risk of attack so high, the town of Churchill has created its very own polar bear police force – known as the Polar Bear Alert. This elite 6-man squad – the first of its kind in the world – sets up numerous large, covert traps around the town’s limits to catch the hungry polar bears before they roam in. Large numbers of bears mean the traps fill up quickly, so it’s up to the Polar Bear Alert – and Syd McGregor – to check them constantly.